No shilly shallying when there’s so much chalet-based shopping to be done. From the enormous and European to the little and local, here are seven cracking Christmas markets. The waft or warm mulled wine on the air, the magic of the fairy lights, ah we can’t wait. 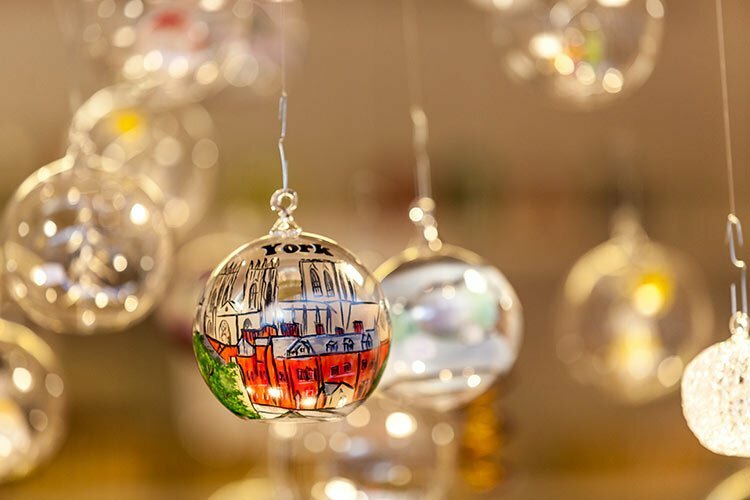 York’s St Nicholas Fair features over 100 stalls spread over six sites in the historic city centre. From the small businesses congregated at The Judge’s Lodging, to the crafts and international cuisine on offer on Parliament Street, you’ll find stocking-fillers and face-fillers aplenty until 23rd December. How often do you get to enter the studios and homes of artists to browse and buy direct? Well, twice a year if you live in Brighton. Intended to bring art to a wider audience, the Open Houses festival will take place over three weekends in the run up to Christmas. 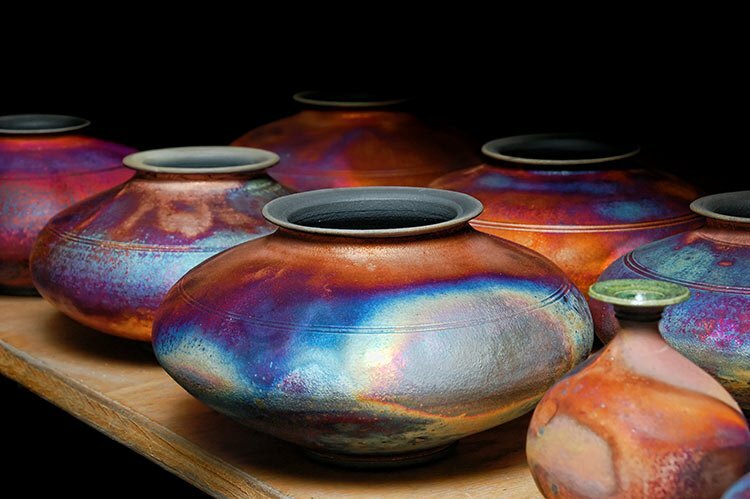 Go along to purchase unique paintings, prints, sculptures, textiles and fabrics for the loved ones in your life, and all at great value prices. 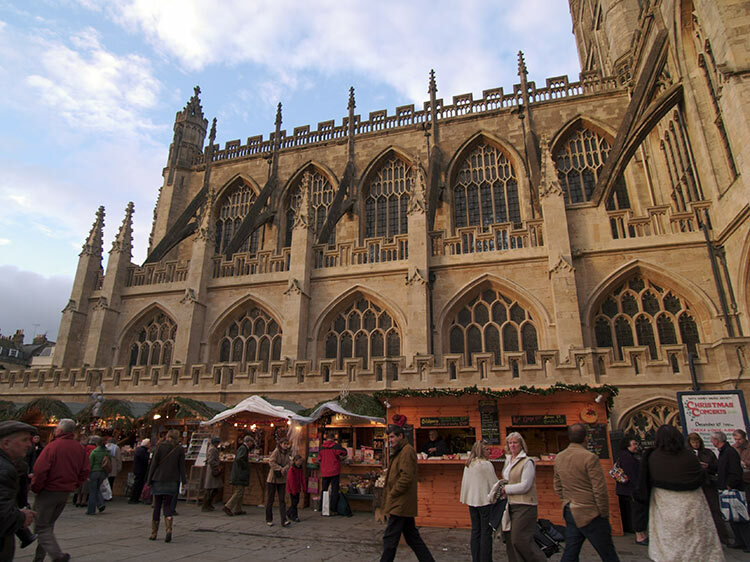 More than 170 chalets will take up residence in architecturally-splendid Bath city centre in the run up to Christmas. If you can’t find a great gift here, where can you?! Guaranteed to get even the most determined Grinch in the mood, the Christmas market will be bathed in animated light and chock-full of festive cheer with carollers entertaining shoppers with the classics. 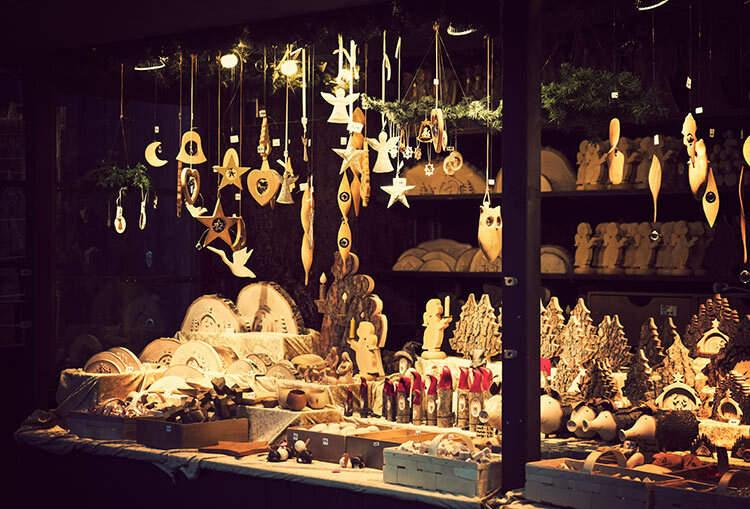 Carefully curated to keep customers coming back for more, the famous Cardiff Christmas Market offers a rolling programme featuring over 200 arts and craft stallholders. The vast majority of goods on sale hail from Wales. Take a casual wander through the streets of Cardiff as you listen to festive song, find the perfect gifts, and treat yourself to an assortment of seasonal food and drink. Whether you head to Manchester to shop until you drop or to soak up the atmosphere, Manchester’s Christmas markets are sure to put you in the mood for merriment. International food, clothes, crafts, jewellery, toys, trinkets… you name it, you’ll find it on one of the 300 stalls. And if you’d rather swap retail for relaxation, grab a beer and a bratwurst and toast the season with friends instead. Entry to this mahoosive Mancunian market is free and it’s accessible to all. Authentic German markets don’t get any bigger or better than Birmingham’s (unless you’re in Germany or Austria). 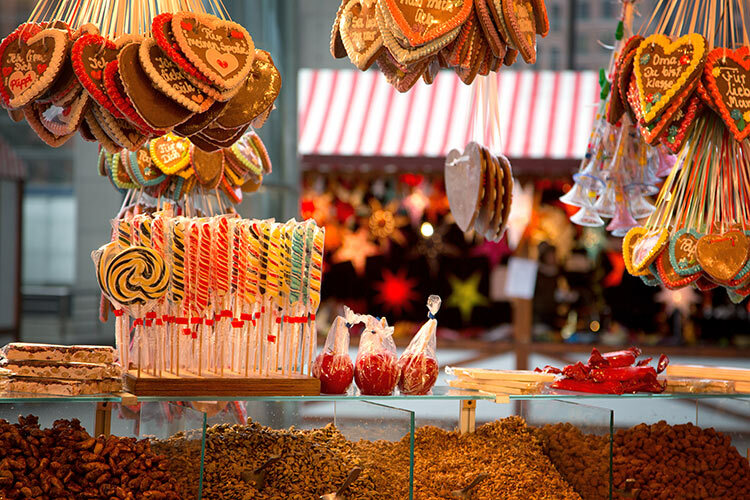 A favourite with residents and visitors alike, the market is held on Victoria Square and boasts over 120 stalls selling gifts, bratwurst, glühwein, crepes and German beer. With Edinburgh less than an hour’s train ride away, Berwick makes a fantastic base for a day trip across the border. 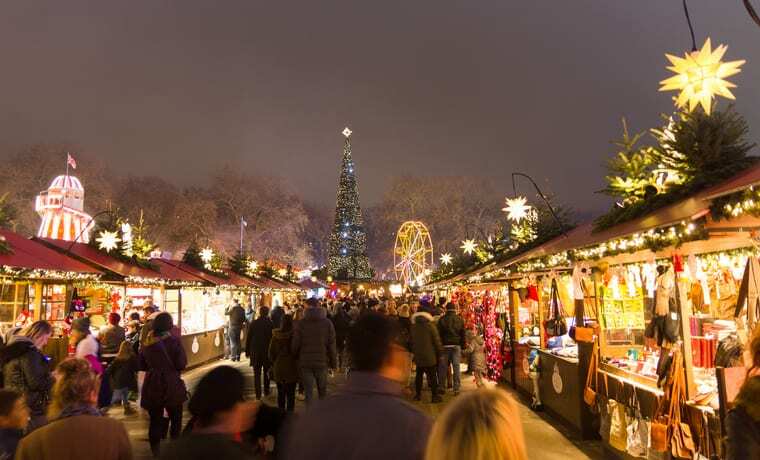 The hugely popular European Christmas Market is well worth a look. Visit East Princes Street Gardens before 6th January to gorge on gastronomic delights and pick up those last minute gifts. Alternatively, the Scottish Market on George Street offers a seasonal smorgasbord of the best locally-sourced food and drink until Christmas Eve.